Yeah I know I made the risotto again, but it’s soooo good as was the ice cream, which was basically a vanilla ice cream with a ton of chocolate truffles stirred in. I made the amount of truffles in the recipes, about 35 1/2 teaspoon truffles and I thought: These are never going to fit into this small batch of ice cream. Surprisingly they did! And boy oh boy what a recipe! The sour cherry sauce put everything together and I have been inhaling the left overs every time I open the fridge. 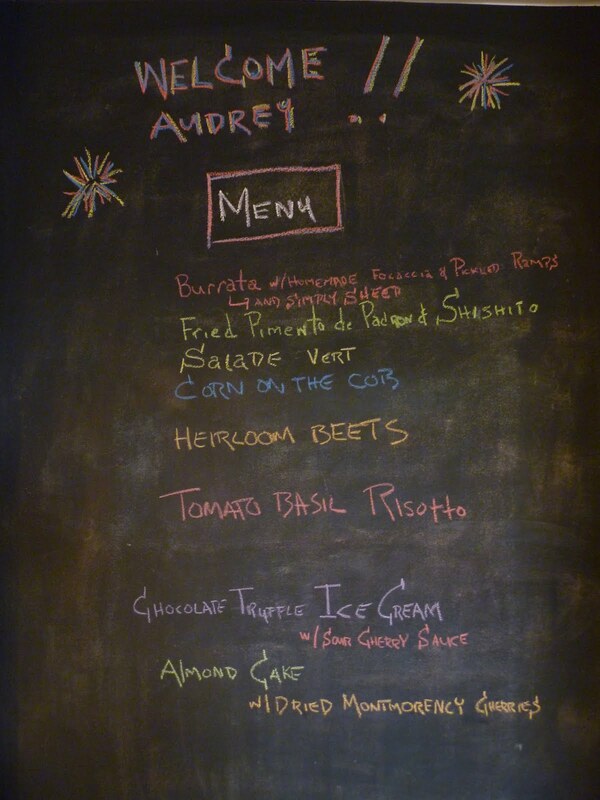 This entry was posted in NYC, Other Stuff and tagged Audrey, Chalk Board Menu. Bookmark the permalink.